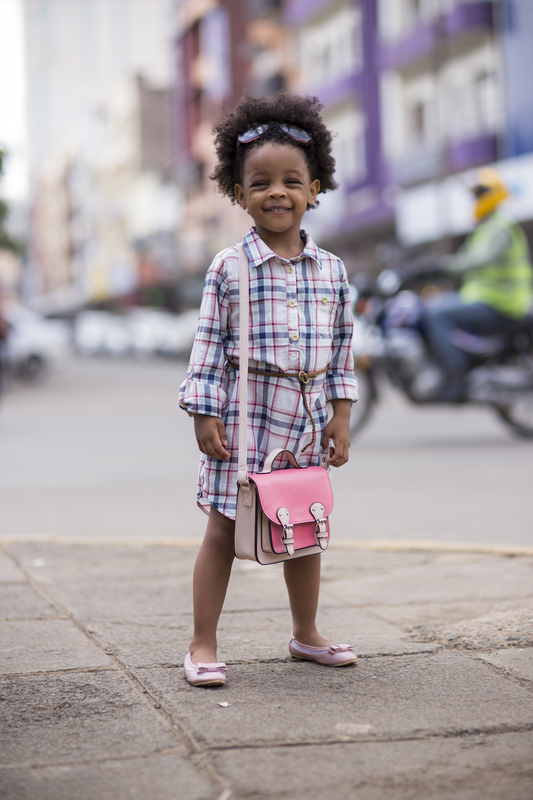 There’s nothing as refreshing as having a daughter who shares the same fashion sense as mommy. Ever since she turned three, Xena has been particular about her choice of outfits. She gets very excited at the prospect of wearing a dress and anything pink, or purple. “Blue is for boys.” She reminds me every so often. I think I have Kinder Joy to blame for that! She has an eye for detail like lace and calligraphy on tops and dresses, and loves accessories especially handbags and shades. 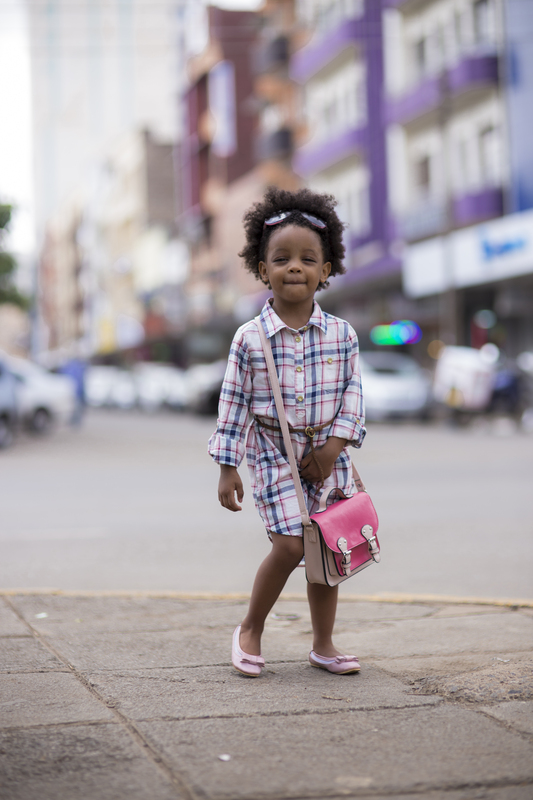 When I travelled to Cape Town, every night we talked on the phone and she would not forget to remind me “Mama please buy for me a big hand bag.” Keyword here being big! However, it has not been all fairytale from the onset. When she first figured out that she had the right to decide or at least pick part of her outfit ensemble, it was a trying moment for me. 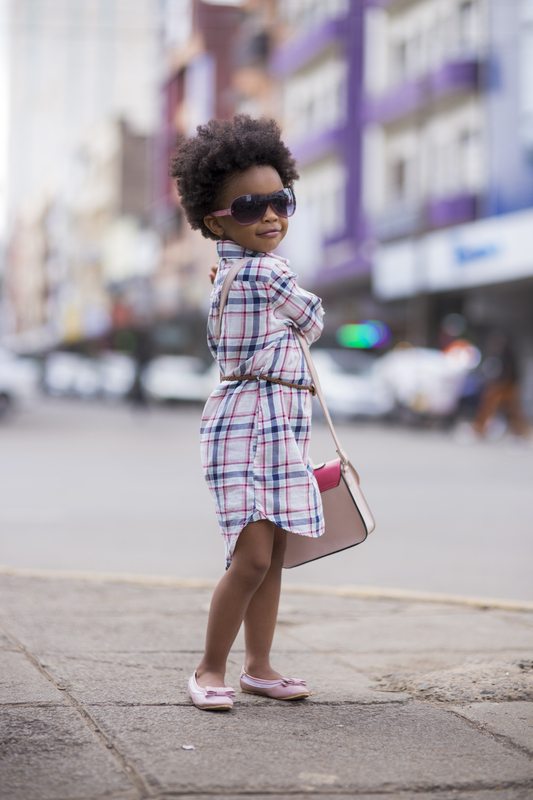 She had the worst fashion sense ever and we would call her mtu mshamba to mean a shady person. Her obsession was centred around this pink pair of hello kitty gumboots and she would want to pair them with dresses and even hot pants! I still cringe when i remember how dreadful some of the looks were. Given that it was a good demonstration of independence, sometimes I would be forced to indulge her desires and pray hard that we did not bump into anyone who knew us! Thank God those days are behind us! Believe it or not, she paired today’s outfit all by herself. 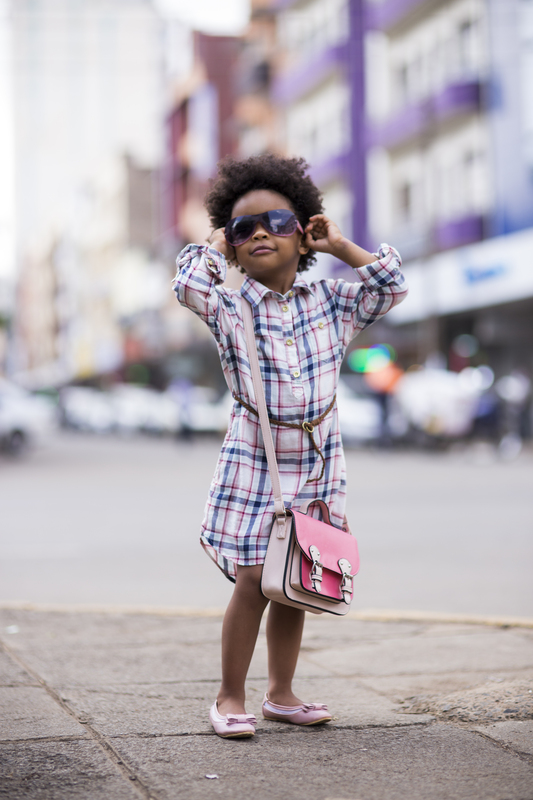 All i did was spread the shirt dress on her bed and in no time, she had placed the ballerina shoes, belt, handbag and shades alongside the shirt dress. She then stepped back, as if to get a clear perspective on how well they all blended! I must say I am really proud of the fashionista she has turned out to be! We are glad to be back and hope to keep the momentum going. If you love our posts, please do not forget to subscribe to the blog by submitting your email in the slot at the top right hand side of this page. Soon, we may just stop Instagram and FB notifications on new posts so you may want to subscribe to avoid missing out! Beautiful. We are still stuck on our favourite Lion shirt and mickey dress. Getting my toddler to put on anything else requires a sales speech. Hopefully she can start picking up something as cool as what Xena picked out. 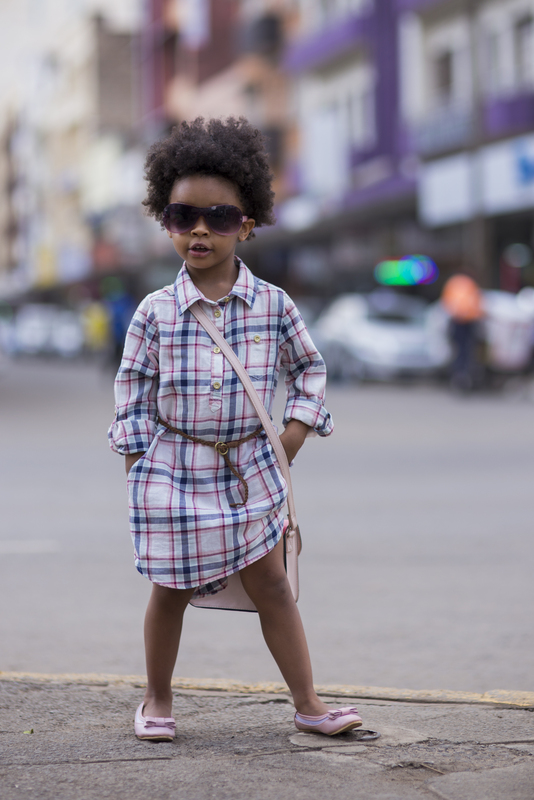 Don’y worry mama, in due time she will surprise you with an incredible fashion sense. Try wearing matching outfits once in a while and she’ll take to more fashionable attires very easily. Great to have you here Joselyn. Xena looks amazing and very trendy. She clearly has a fashion sense. She is so diva like already & ready to take on the world. Bet she will be a fashion designer and personal stylist. From your lips to God’s ears Jay. Engineer (what with lego obsession) with fashion designing on the side, and more! We are already fighting over my stuff. She wants to carry my handbags and wear my shades. She tries walking in my heels in the house and I find it quite hilarious! Mommy Musings coming very soon. Look out for it. 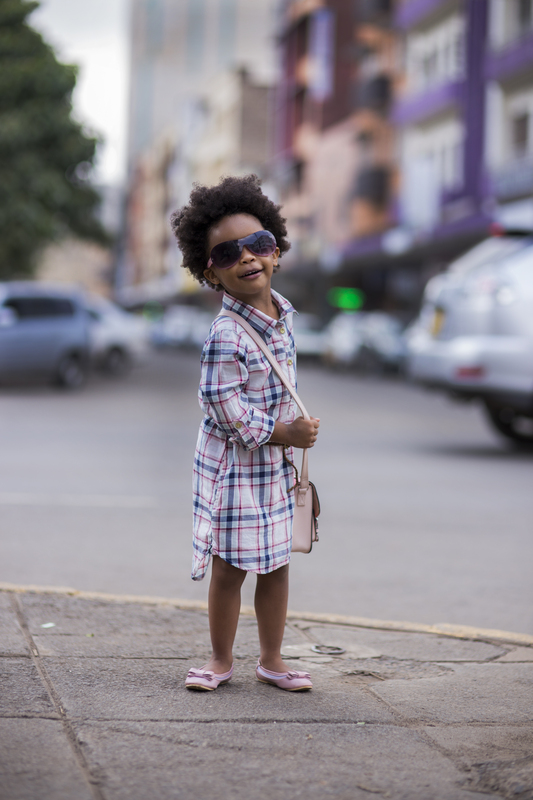 Hopefully follow the footsteps of Elizabeth Marami @lizmarami IG. Hahaha! her next shoes should be cute little kitten heels. 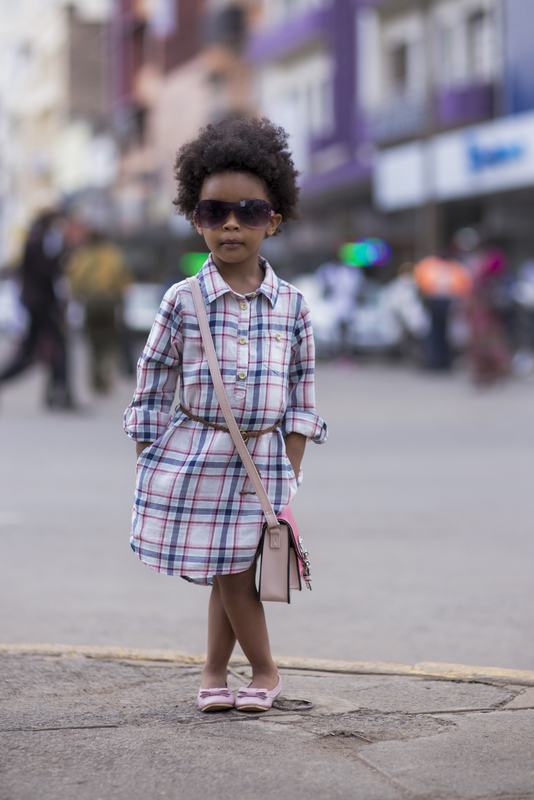 Nataka hizo photos of her in those gumboots and dresses, #tbt in like 15yrs Hahaha! You got that right! Liz Marami is a force to reckon with. ..?? oh my gooosh Xena you look so grown in this photos….I love your fashion sense…its for sure mummy has nurtured it right for u to be able to pair this gorgeously gorgeous outfit…????? D for Diva! Thanks Sheyce.